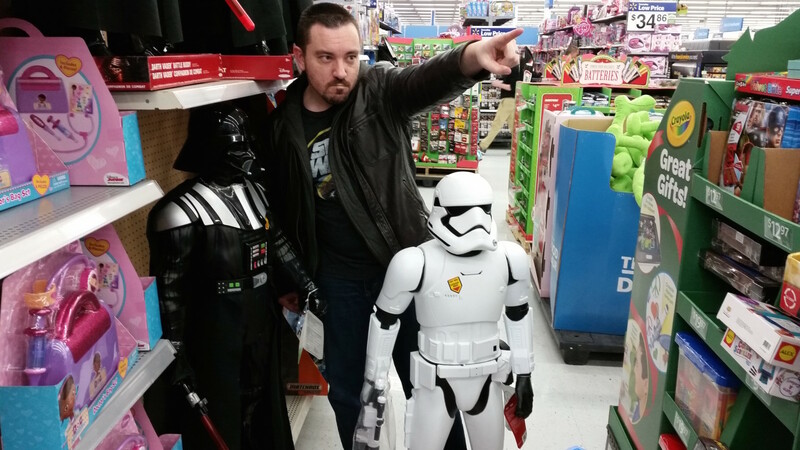 Toy Empire: Star Wars is HUGE! Size matters not? With these amazing toys, it's all that matters! 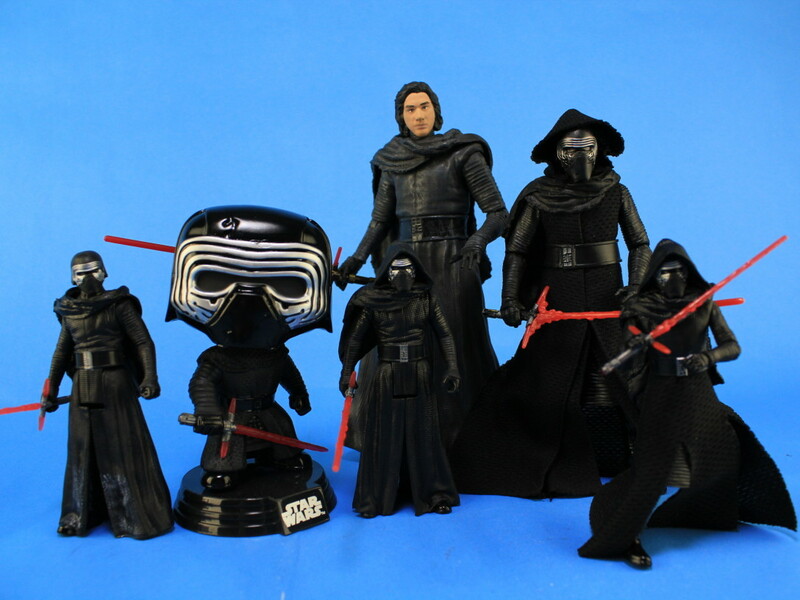 When you think of Star Wars toys, odds are you think of the standard 4”-tall action figures from Kenner and Hasbro. Sure, there have been so many different types of toys and action figures from that galaxy far, far away over the years, and they have come in all shapes and sizes. 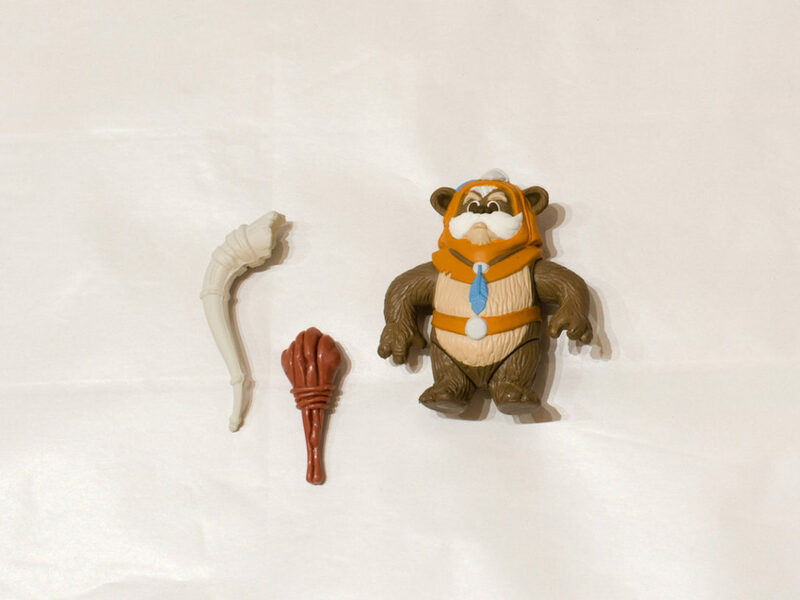 But that 4” line has sort of always been the staple Star Wars lineup. While the 4” action figures are still around and still very popular, there has been a definite shift over the past couple of years. 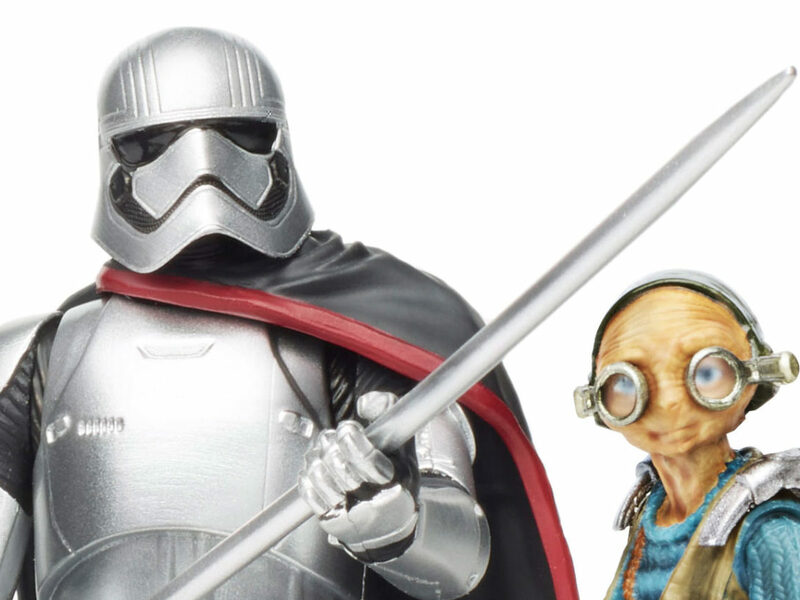 Action figures that stand around 6” tall have always been popular for many toy fans, as well, and in recent years Star Wars has finally branched out to include action figures of our favorite characters in this scale. But the size increase didn’t stop there. If you walk into the toy section of your favorite store right now, especially around the holiday season, you will undoubtedly notice some very large items that your little ones (or even your toy collecting significant other) are begging to see under (or alongside, in this case) the Christmas tree this year. Toy companies are producing some amazingly massive plastic treasures right now, and among those are some of the coolest Star Wars toys that I’ve ever seen. Jakks Pacific is a toy company that has become well known for being the people who make giant-sized action figures in the past few years. They produce a pretty great range of 20” action figures based on characters ranging from the original trilogy to Star Wars Rebels. And while these are certainly fun, the real wow factor lies in the absolutely goliath 48” tall Darth Vader and stormtrooper action figures! I’m certain you have seen these while out doing your shopping. They are impossible to miss! 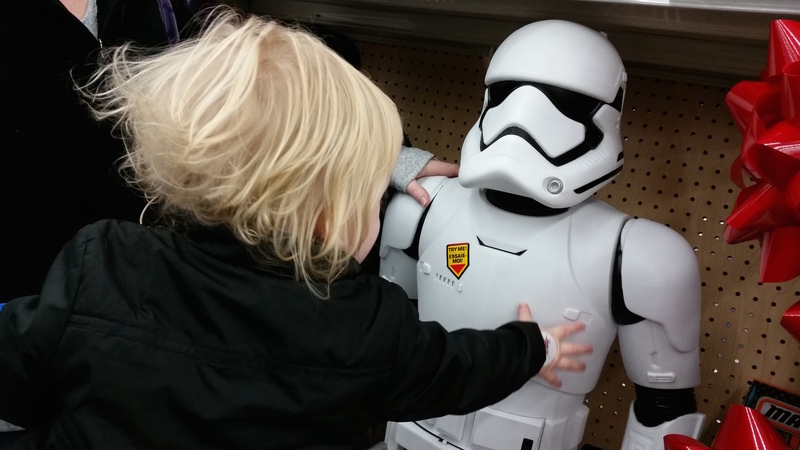 I know this, because I find myself getting text messages from several friends who don’t necessarily hit up the toy aisles quite like I do, asking me if I’ve seen the awesome giant stormtroopers. These figures are articulated just like the little 4” figures we loved as kids, and even have electronic voices! If you want a pretty epic conversation piece in your home, then add a four-foot-tall stormtrooper to stand guard by your front door. Heck, get several and command your own army! Since we’re talking about the holiday season, one of the “hot” items this year comes from Spin Masters in the form of the Legendary Yoda. If you’ve ever wished that you could partake in Jedi training like Luke Skywalker, this is your chance to do it! Legendary Yoda stands an impressive 16” tall. While not exactly life size for the Jedi Master, it’s close! But the real fun with this one comes with his amazing Jedi training features! 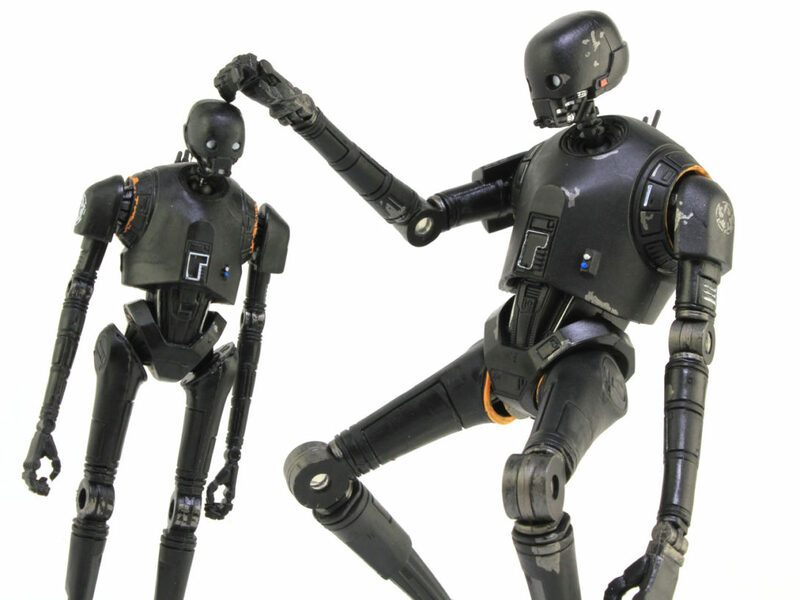 He is said to be “the most realistic Star Wars toy ever,” and I can see why! He features a motorized body with voice recognition, and speaks over 115 phrases as he actually trains you to become a Jedi! 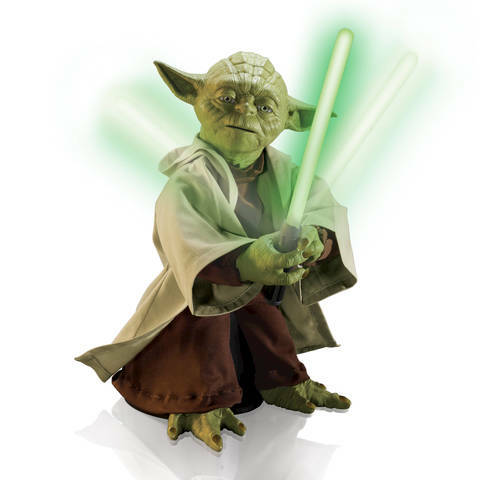 Seriously, you can actually use the Force to push Yoda backwards a bit while training with him! How many of you have longed to be able to use the Force like this since you were a little kid? It’s no surprise that this one has been a popular piece for kids and collectors alike! 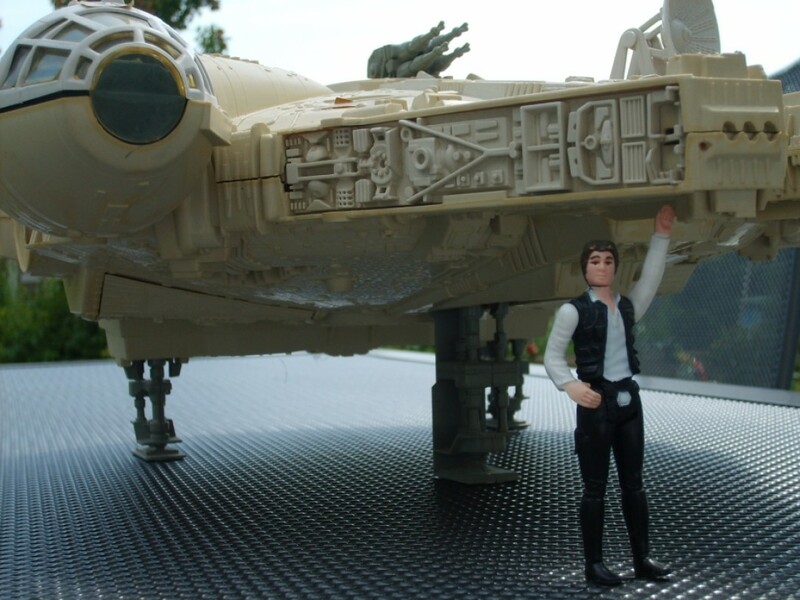 So there are plenty of large-scale representations of Star Wars characters in plastic form. But what about the other thing that makes the Star Wars films so great? I’m talking about ships, of course! 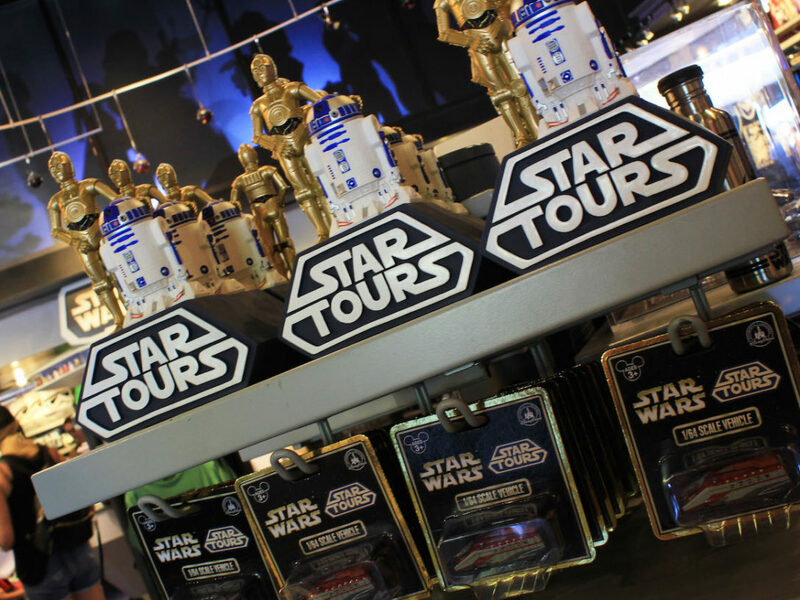 Star Wars wouldn’t be the same without, well, wars in the stars courtesy of some really cool space ships! 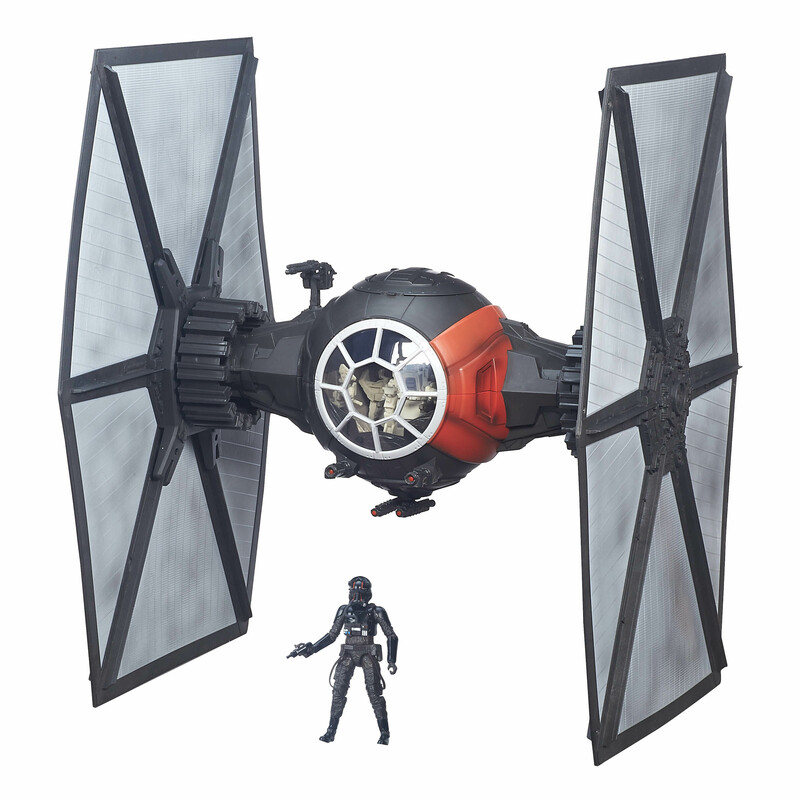 And if you’re looking for a massive toy to add to your collection of ships, then Hasbro has you covered with their new Black Series First Order Special Force TIE fighter! Made to fit in with their new 6” Black Series figures, this new TIE fighter stands 21” tall and is big enough to hold two pilots from the 6” figure line! It’s based on the design of the classic vehicle as it appears in the upcoming Force Awakens film, and has got to be one of the coolest Star Wars toys created to date. Of course, you’ll probably need your own docking bay to store it, because it’s definitely going to take up a lot of real estate. Maybe you can buy a sheet of glass to rest on top of the wings and turn it into a small end table. I’m not going to lie, I strongly considered doing that. It’s impressive. Most impressive. As a collector, I’ve often joked about needing to buy a second house just to store my collection. If toy companies keep producing these awesomely gigantic toys, I’m not going to have a choice! Sure, I don’t have to buy them all…but where’s the fun in that? 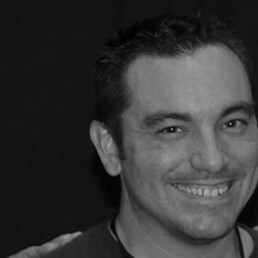 “Pixel Dan” Eardley is a reviewer, reporter, and all-around toy enthusiast. Growing up in the 1980s and 1990s, Dan enjoyed a variety of popular toys including Star Wars, among many others. His love of toys has followed him into his adult life where he continues to collect toys both new and old. 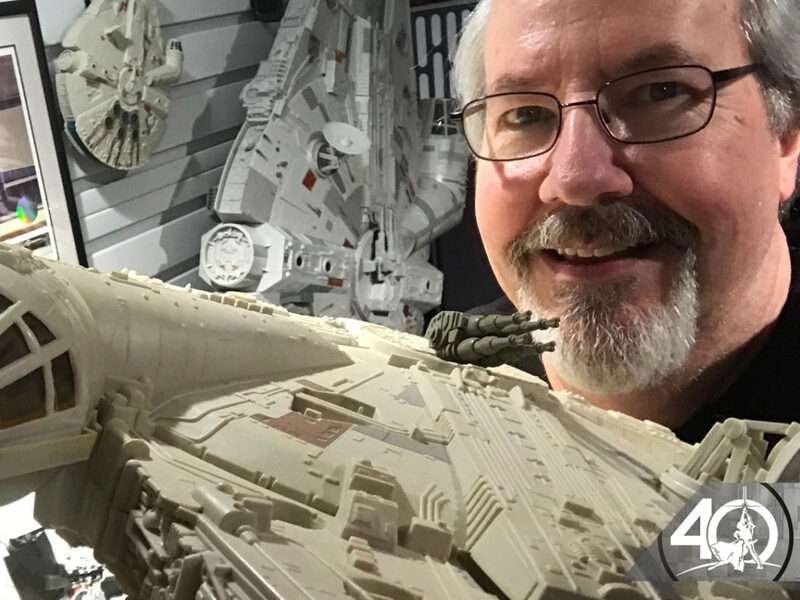 Through his popular videos on his YouTube channel, with over 100,000 subscribers, Dan shares his enthusiasm for the collecting hobby with the world. 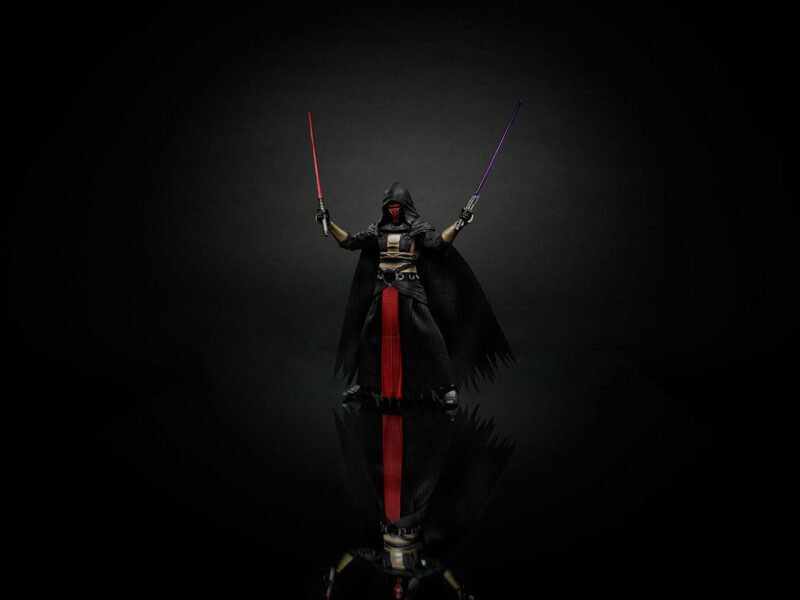 Vote for the Next 6-Inch Star Wars Black Series Figure!